Let me tell you about Foxwood. A place that my skipping voice would not get me thrown down stairs. Unlike other schools. It was very much like other schools. From 1998-2002, Neal Pike attended a special educational needs school in Nottinghamshire. Five Years is about trying to hold on to a sense of who you are during those messy, brutal and mundane years of adolescence. With warmth and humour that cuts to the bone, Neal Pike explores identity, community and the parts of him that were shaped by Foxwood. 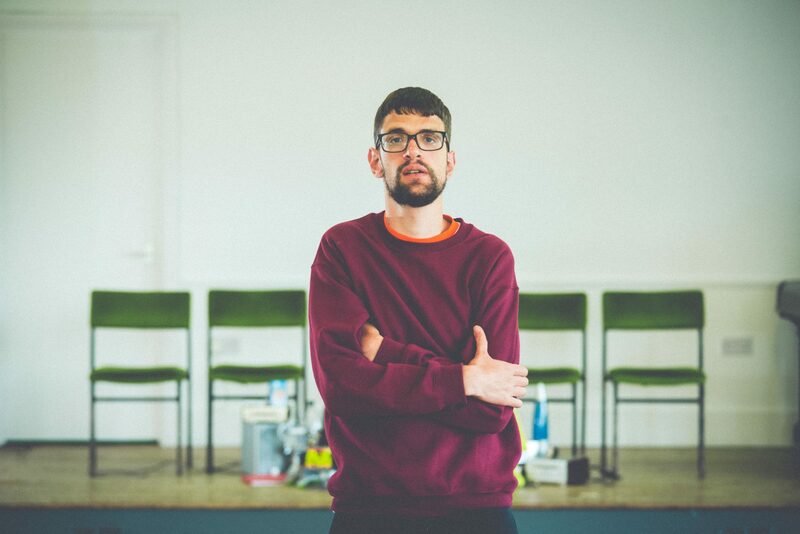 Commissioned by New Writing North, Five Years has been supported by Arts Council England, Sunday for Sammy Trust, Square Chapel and Alphabetti Theatre. Special thanks to Kickstarter Backers: Oliver Housley, Rosie Burn, Kristy Diaz, Andy Briggs. Review from Hey, What’s On Notts?